Kings may have departed from the Balkan stage but many of the region’s current leaders weild power in monarchical style - clinging to office for decades. Here is the selection of ten politicans who think it is never the right time to bow out. Read more. Whether it’s vandalism or art, Bulgarians are still daubing monuments in bright paint to strike political points and ‘reclaim’ the public space. Read more. The VMRO DPMNE-led nationalist autocracy in Macedonia may be coming to an end - but nationalism itself will remain, embedded in the heart of the political mainstream. Read the full comment. Croatian President Kolinda Grabar Kitarovic congratulated Emmanuel Macron on Monday on winning the French presidential elections on Sunday. Grabar Kitarovic expressed her hopes that Macron will work for the benefit of French citizens and invited him to visit Croatia. Croatia’s controversial ex-culture minister, Zlatko Hasanbegovic, explained at a press conference on Monday that he is running as a candidate in local elections on the list of independent Bruna Esih instead of his own party – the governing centre-right Croatian Democratic Union, HDZ –because he believes his party’s president and current PM Andrej Plenkovic has jeopardized the government by ending the coalition with junior government Bridge of the Independent Lists, MOST. Hasanbegovic also stressed at the press conference that he is still a HDZ member. The ballot slips for Albania’s general election on June 18 will carry the names of only 15 parties after opposition parties, led by Lulzim Basha’s Democrat party, refused to run in the polls. 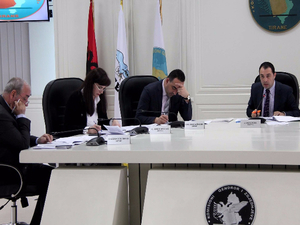 Albania’s Central Election Commission approved the ballot on Monday for the election. Kosovo’s government has postponed sending the agreement on the controversial border demarcation with Montenegro to the Kosovo Assembly until Wednesday, after the Assembly first votes on the motion of no-confidence initiated by opposition initiative Nisma against the ruling coalition, the office of Kosovo’s Prime Minister, Isa Mustafa, announced on Monday. 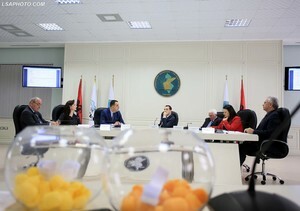 Mustafa decided to delay the voting after an extraordinary meeting with the speaker of Parliament, Kadri Veseli, and the US ambassador Greg Delawie. 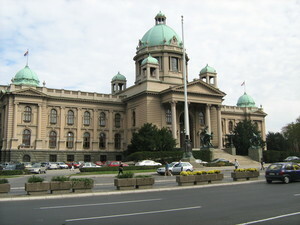 The start of the retrial of nine young men accused of setting fire to the US Embassy in the Serbian capital, Belgrade, in 2008 after the "Kosovo is Serbia" rally has again been postponed, N1 television reported on Monday. Two of the defendants, Nikola Kosanovic and Milan Tomas, did not appear for the trial for health reasons, while another defendant, Dragan Marinkov, did not receive the call for the trial, according to his counsel. A batch of heavy machine guns travelled from a Serbian state-owned factory to Syrian rebels, via a Bulgarian arms tycoon and a Saudi training camp, BIRN and OCCRP can reveal. Read the investigation. The recent rampage in parliament shocked Macedonia’s large Albanian community - and strengthened their conviction that their best hope lies in a new government under Zoran Zaev. Read more. As Serbia marks Victory Day, one of the few men still alive to have been named a Yugoslav national hero for his role in WWII remembers his first post-war celebration back in 1945. Read more. The notorious Russian online game called "Blue Whale", which unsubstantiated rumours claim coerced teenagers into suicide, has made its way to Croatia, Index news site reported on Tuesday. Croatian police called the public to give any information on potential consumers of the game, and for any persons playing it to screenshot their smartphones if they receive any ‘tasks’ in the game that involve causing harm to others or themselves. Ten days after the election of Macedonia's new parliament speaker Talat Xhaferi, which sparked violence in the parliament, the country's official gazette has published the official notice about his appointment. 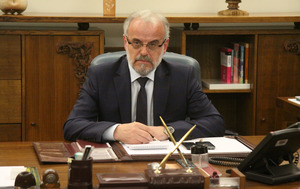 This is seen as a step forward towards election of the new Social Democrats, SDSM-led government as it opens the way for the Macedonian President to formally reply to the Speaker's letter in which he informs him of the new parliament majority, urging him to award the long overdue mandate to SDSM leader Zoran Zaev. President Gjorge Ivanov, who has been withholding the mandate since early March, now has ten days to award the mandate to Zaev, after which the new majority said it will proceed with the election of the new government even without the president’s green light. Romania’s lower chamber voted in favour of a bill to modify the constitution and redefine the family as a “consenting union between a man and a woman” with an overwhelming majority on Tuesday. The bill, which civil rights activists oppose, is being pushed by the Coalition for the Family, a conglomerate of 43 religious and conservative organisations and will now be submitted for a vote in the Senate. Three hundred of the OSCE's observers will be in Albania to monitor the general elections taking place on June 18, the head of this mission for Albania’s elections, Peter Tejler, told a press conference on Tuesday. He emphasised that transparency is going to be the focus of the OSCE’s work during the polls, which the opposition parties have said they are not going to participate in. Kosovo’s Prime Minister, Isa Mustafa, held a meeting on Tuesday with US ambassador Greg Delawie, the head of EU office in Kosovo, Natalia Apostolova, and the MPs of his party, the Democratic League of Kosovo, LDK, a day after the government postponed sending the agreement on the controversial border demarcation with Montenegro to the Kosovo Assembly. Serbian Prime Minister Aleksandar Vucic has accused former OSCE chief in Kosovo William Walker of being a “Greater Albania lobbyist” after he said he was working on a project to unify Albanians while at a ceremony marking 17 years since the establishment of the Alliance for the Future of Kosovo, Tanjug reported on Monday night. Serbia will present this statement by William as “ultimate proof” that his goal was “never the protection of human rights in Kosovo, but a struggle against Serbia and the creation of a 'Greater Albania'," Vucic told Sputnik on Tuesday. Pristina authorities refused to let the Director of the Serbian Office for Kosovo, Marko Djuric, attend the Victory Day celebration in Mitrovica on Tuesday, Beta news agency reported, citing local TV Most. According to Beta’s report, Djuric was sent back from the administrative border crossing at Jarinje in northern Kosovo on the decision of "temporary self-government institutions in Pristina". 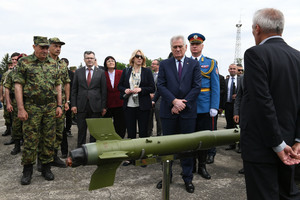 Following the Victory Day “Steel” military exercise in the Serbian town of Nikinci, western Servia, outgoing President Tomislav Nikolic stated that Serbia “has a great army”, the country’s public broadcaster, RTS, reported. US President Donald Trump has congratulated Boyko Borissov for being re-elected as Bulgaria’s Prime Minister in an address in which he also said he is “particularly happy” with Bulgaria’s plan to strengthen and modernize its defence capabilities. 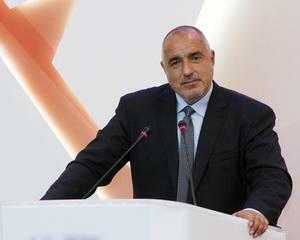 In his address, published by Borissov on Tuesday, Trump said he deeply appreciates “Bulgaria’s contribution in our common missions, as allies we stand side by side in Afghanistan and Kosovo, and as coalition partners we fight to destroy ISIS”, also thanking Bulgaria for its preparation to host NATO’s biggest training in Europe this year. A transgender person and her two friends were attacked by an unknown man in the centre of the Serbian capital, Belgrade, on Monday, according to the citizens association Egal. 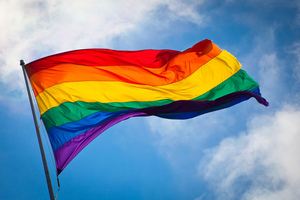 This is the second attack on members of the trans community in the center of Belgrade in the last 10 days, with the second attack still unresolved, Egal said in a press release on Tuesday. 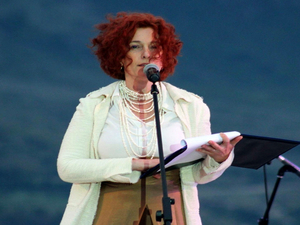 The editor-in-chief of Kosovo-based newspaper Zeri, Arbana Xharra, has resigned from her position to enter politics, joining the biggest ruling party, Kadri Veseli’s Democratic Party of Kosovo, PDK. Xharra, who often has been a target of threats because of her articles on religious extremism, stated at the press conference that she joined PDK with no conditions. 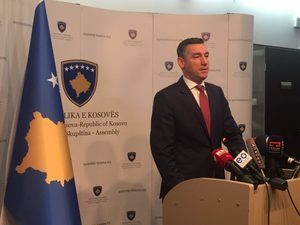 Kadri Veseli, the head of the ruling Democratic Party of Kosovo, PDK, and speaker of Kosovo Parliament, called for a party meeting to be held at 7pm tonight, but gave no information about the agenda. The meeting comes at an important time for Kosovo, as tomorrow the government is expected to decide on whether to send the disputed border deal with Montenegro to parliament and the PDK and its ruling coalition partner are also to face a vote of no-confidence. Politico reports that Bulgaria is "poised to nominate MEP Mariya Gabriel to replace Kristalina Georgieva on the European Commission." Sem Fabrizi, the EU ambassador to Australia, is soon to become the head of the EU Delegation to Serbia. 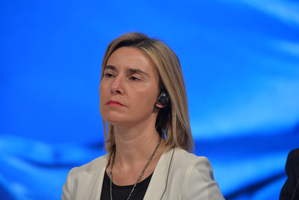 "Fabrizi, who sources said is trusted deeply by Mogherini, will have a critical role to play in monitoring both regional tensions and Serbia’s bid to join the EU," Politico reported. As government readies for a decision on whether to send the Montenegrin border agreement to parliament, locals are tiring of the whole issue. Read more. Opposition politicians and experts accuse President Hashim Thaci of attacking the EU to divert public attention from his own political failures. Read more. The Macedonian Public Prosecution is trying to downplay the recent violence in parliament by charging the alleged attackers with the mildest possible criminal offences, observers fear. Read more. Kosovo Prime Minister Isa Mustafa called the motion for a vote of no-confidence against the current government a “political brochure” intended to destablise the country and to “hide the addresses of those you caused millions euros damages to country” on Wednesday, speaking at the parliamentary session where MPs will vote on whether to bring down the ruling coalition. Mustafa claimed that the motion, initiated by opposition parties, is an attempt to blame the failures of past governments and the alleged damages and abuses of power by some individuals who signed the motion onto the current one. Lawsuits against Croatia’s largest private company, Agrokor, from the suppliers to whom it owed money “are possible”, Ante Ramljak, the appointed extraordinary manager of Croatia’s troubled private company Agrokor, said on Wednesday. Ramljak also stated that these suppliers will be able to buy partial ownership of Agrokor's retailer Konzum - the biggest retailer in Croatia and second biggest in neighbouring Bosnia and Herzegovina - if they have "enough money". European Commission President Jean Claude Juncker is set to visit Romania on Thursday where he will meet officials, give a speech in the Parliament, and talk directly to citizens in an event at the National Art Museum in the capital, Bucharest. Juncker said he is visiting to thank Romanians for being such staunch EU supporters and defending its values, referring to the large street demonstrations against corruption in February this year. Serbia’s Minister for European Integration, Jadranka Joksimovic, announced that her country will address the row over “Greater Albania” with the UN in reaction to recent statements made by the former head of the OSCE mission in Kosovo, William Walker, saying that he wanted to help Albanians in Kosovo and Albania to unite. "The project of a ‘Greater Albania’ is not only a problem of Serbia. It includes the territory of several countries in the Balkans, and I think all of us need to be concerned," Joksimovic told Serbia’s public broadcaster, RTS, on Wednesday. Former Romanian Prime Minister Dacian Ciolos is waiting for more people to register with Platform Romania 100, an NGO he has set up together with nine former technocratic ministers and state secretaries in his government, he announced on his Facebook page on Wednesday. Despite rumours that he is establishing a new political party, Ciolos said that Platform Romania 100 is a citizen movement that aims at coming up with development strategies and ideas to revolutionize the way politics is done in Romania. The governing centre-right Croatian Democratic Union, HDZ, has decided to form a new majority in parliament with the centrist Croatian Peasants' Party, HNS, which has five MPs out of the total 151 in parliament, Croatian dialy Vecernji list reported on Wednesday. HDZ needs HSS - which voted in support of the government in October, while still staying in the opposition - after it ended its coalition with the junior partner Bridge of the Independent Lists, MOST, earlier this month. Boyko Borissov’s centre-right GERB filed a proposal to Bulgaria’s parliament on Wednesday for changes to the electoral law, which would introduce a majoritarian electoral system, replacing the current proportional representation system. The changes foresee the division of the country in 240 electoral districts, each of which would have one MP to parliament. GERB also proposed a significant drop in the state subsidies for parties from 11 leva (around 5.5 euros) to 1 lev (around 0.5 euros) per vote – in line with proposals voted at a national referendum last November. Croatian Office for Suppressing Corruption and Organised Crime, USKOK, has rejected criminal reports filed by a marginal non-parliamentary party, Free Croatia, on Monday against Prime Minister Andrej Plenkovic, war veterans' minister Tomo Medved, state secretary of the war veterans' ministry, Zdravka Busic and MP Zeljko Glasnovic. In its announcement on Wednesday, USKOK said it rejected the reports because there were no elements of criminal activity considering Glasnovic's conditions for supporting Plenkovic's Croatian Democratic Union, HDZ, in naming its MP as parliament chair on Friday. Bulgaria’s organised crime police department and the special prosecution have broken up a Sofia-based organised criminal group, involved in drug dealing, beatings and allegedly killings, linked to the fan club of the popular football team CSKA. Members of the 12-person group, some of whom had Interpol arrest warrants out on them, are suspected of being involved in the murder of the warden of the Sofia central jail, Yanko Yanev, and the brutal beating of University Hospital St. Anna professor Stefan Stanchev in 2016, the authorities announced at a briefing on Wednesday. The Italian minority in the Croatian parliament is withdrawing its support for the government led by the centre-right Croatian Democratic Union, HDZ, until Prime Minister Andrej Plenkovic distances himself and the government from statements made by HDZ's high-ranking official Milijan Brkic on Monday, Furio Radin, the minority’s representative, said on Wednesday. Radin claimed that Brkic had breached the constitution, constitutional law on national minorities’ rights and the proclaimed program of the government in stating that that in Croatia, only ethnic Croats are making decisions for the country. Although Croatian Prime Minister Andrej Plenkovic has spoken with MPs from the Croatian Peasants’ Party, HSS, the party will not back the Croatian Democratic Union, HDZ, in forming a new majority in the parliament, HSS told Croatian news agency HINA. 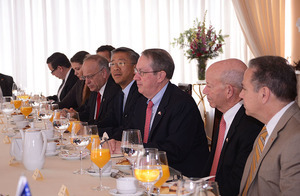 A group of representatives from the US Congress, led by the Chairman of the House Judiciary Committee Bob Goodlatte, are meeting with senior representatives from Albania in Tirana today, including opposition leader Lulzim Basha, to discuss the need for the country to resolve the political crises and move forward with judicial reform. Media in Albania are also reporting that the Deputy Assistant Secretary for European and Eurasian Affairs, Hoyt Yee, will visit Albania on Monday, where the talks over the country’s crises will also be the focus, but his visit has not been confirmed. Romania’s Social Democrat Party fired the head of the Senate legal committee Serban Nicolae on Wednesday after he reintroduced an amendment last week to include graft-related offences in the pardon bill that triggered massive street protests and international criticism in February. Following the fall of Isa Mustafa’s government in Kosovo after losing a no-confidence vote, President Hashim Thaci has decreed the dissolution of the parliament. 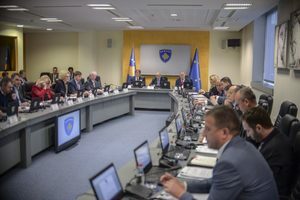 Thaci now has a maximum of 10 days to decide on the date of snap elections, which have to be scheduled for between 30-45 days from when the President selects the date. Some Balkan volunteers are still fighting alongside pro-Russian separatists in eastern Ukraine despite new laws to prosecute them if they return home, a paramilitary from Serbia told BIRN in an interview. Read more. Bulgaria's leading party has proposed changes to the electoral code that would introduce a fully majoritarian system - but they are likely to face opposition in parliament and even in the cabinet. Read more. The split between Moldova’s pro-Russian president and pro-European coalition is fuelling the country’s confusion - as corruption allegations swirl around the government. Read more. The Criminal Court in Skopje has frozen the assets of Macedonian businessman and media magnate Sead Kocan - an ally of ex-Prime Minister Nikola Gruevski, who is suspected by the Special prosecution, SJO, of falsifying documents to win a big coal extraction tender. Kocan has been at large since early March when the court ordered his arrest and detention. Along with three other businessmen, he is suspected of falsifying documents in 2011 to win a 17-million-euros tender to extract coal from the Suvodol mine near the town of Bitola for the state power company ELEM. The tender was awarded to the consortium he belonged to in 2012. Serbian Prime Minister and President-elect, Aleksandar Vucic, on Thursday met the Kosovo Serb leader Oliver Ivanovic, who is currently standing trial for war crimes during the 1999 war in Serbia’s former province. They talked about the formation of the “Association of Serbian Municipalities” in Kosovo, the EU-sponsored dialogue between Belgrade and Pristina, and Ivanovic’s trial, Serbian government said in a press release. The Criminal Court in Skopje ordered a 30-day detention on Wednesday evening for the two people suspected of attacking Macedonian MP Zijadin Sela during the parliament rampage on April 27, when violent supporters of the right-wing VMRO DPMNE party stormed the parliament after the new majority elected a new speaker. The two suspected attackers, a father and a son from Skopje, who were seen in some media footage dragging an unconscious and bloodied Sela through the parliament corridors, will be charged with attempted murder, the prosecution said, not excluding the possibility of raising charges against other people as well for the same case. 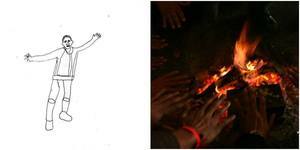 An exhibition titled "Notes From Invisibility" featuring photos and drawings by two Afghans migrants, Abdul Sabor and Hamedulah, will open at 7pm today in the Ostavinska gallery in the Serbian capital, Belgrade. The two artists will exhibit drawings they made while living in barracks in the centre of Belgrade, so visitors will see in what situation migrants are living in Belgrade. Companies and other legal entities to whom troubled private company Agrokor owes money are likely to sue Croatia, Boris Lalovac, former Croatian finance minister and MP of the opposition Social Democratic Party, SDP, told regional N1 TV on Thursday. He explained that because Agrokor currently has no money at its disposal, companies may instead sue the Croatian state, which passed the law for the state to have an extraordinary management of the Agrokor. The European Bank for Reconstruction and Development, EBRD, decreased on Wednesday its projection for Montenegro's 2017 economic growth to 3.0 per cent from 3.5 per cent forecast in November, SeeNews reported. High imports related to a major highway project, which is being mainly financed by loans from China, fuelled the trade deficit and made a significant drag on growth, almost offsetting the positive gross capital contribution, the EBRD noted in its latest Regional Economic Prospects report. Montenegro's economy is expected to grow by 3.3 per cent in 2018, as electricity output grows following the production from the newly commissioned Krnovo wind power plants, and as the tourism sector is likely to be boosted by the newly operational airline connections with the EU countries, the EBRD said. Serbian National Assembly on Thursday rejected the opposition’s proposal to vote on the dismissal of the parliament speaker, Maja Gojkovic. Only 32 opposition parliament members voted in favor, out of 188 MPs present. 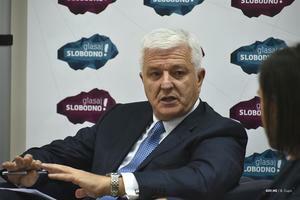 In mid-April, Gojkovic promised that the oppositions proposal will be the only point on the agenda of a special session. Her dismissal was one of the demands put forth at the nightly protests against the government, which were triggered by PM Aleksandar Vucic’s presidential election victory on April 2. The spontaneous protests have since died down. 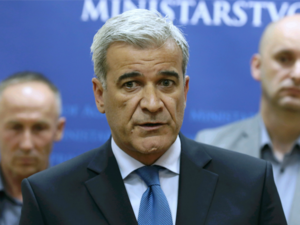 Montenegro's PM Dusko Markovic said the country will be officially admitted to NATO on June 5 and will be presented as a member state during the summit of the Alliance on May 25. Spain, the last of 28 members of the Alliance, ratified Montenegro's NATO accession protocol on Thursday. Croatia’s biggest non-food retailer, Pevec, announced on Thursday that it is buying local Zagreb TV station Z1. Chair of Pevec’s executive board, Jurica Lovrincevic, explained that the company will use Z1 to promote its house, garden and hobby products. 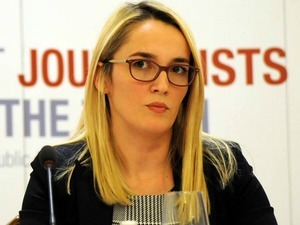 The European Commission told BIRN in a statement that the use of threats to attempt to intimidate the Head of the EU Delegation to Albania, and the delegation's staff, will not be tolerated, following the arrest of a journalist on Wednesday for calling on people to kill the Croatian head of the delegation, Romana Vlahutin. "Calls for violence and hate speech are unacceptable," the statement read, also stating that the Commission trust that Albanian authorities and citizens will take a clear stance against this type of threat. Romania deserves to be part of the EU’s passport-free Schengen Area and it needs to join it as soon as possible, European Commission President Jean Claude Juncker said on Thursday during a speech in the Romanian Parliament, on his first official visit to the country. Before the speech, Juncker, who is known for his eccentric gestures, kissed former Romanian President Traian Basescu’s bald head before hugging him. In a letter directed to the citizens of Albania, EU enlargement commissioner Johannes Hahn stated on Thursday that he deeply regrets the Albanian opposition’s decision not to participate in the June 18 elections, but also called for the election process to continue. "I strongly condemn any announcements to call for "actions" that would undermine each citizen's right to vote and other fundamental freedoms. Such "actions" cannot be justified and are not compatible with European Union standards," he said. In its spring economic report, the European Commission lowered its previous estimation of Croatia's GDP for 2017 from 3.1 to 2.9 per cent, mentioning the financial troubles of the country’s biggest private company, Agrokor, as one of the reasons for the change. However, the estimation for 2018 has been raised from 2.5 to 2.6 per cent. 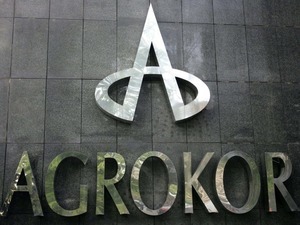 Croatia’s troubled private company Agrokor - currently under state extraordinary management – said on Thursday that its 19 biggest subsidiaries owe around 5.4 billion euros to creditors and suppliers. EU High Representative Federica Mogherini said that "the EU is strong despite Brexit and attacks of populism" and that it is now looking to incorporate the Balkan states "despite that being a long and winding road," Beta news agency reported on Thursday evening. Mogherini told the Italian La Stampa newspaper that the EU was an example of stability and that the future of the EU was in further expansion and the incorporation of Western Balkan countries, which she referred to as the reunification of Europe. MPs of the right-wing Serbian Radical Party and Dveri want the Prosecutor for War Crimes to be nullified, claiming that the ruling coalition has already decided which candidate will be elected to the post before the voting has taken place in the parliament. The Serbian Parliament is expected to decide during Monday's session who will be appointed to the position of Prosecutor for War Crimes, more than a year after the previous prosecutor’s term expired. After days of suspense, Zagreb Mayor Milan Bandic promised that Medika, an autonomous culture centre, can stay in the Croatian capital for an additional two years. The BBC has included Bulgaria, Romania and Moldova among the top 8 entries to look out for in Saturday’s final of the 2017 Eurovision song contest, in which 24 songs are contending for the win. Kristian Kostov, is a widely tipped favourite in the final, but he caused controversy in the lead up to the semi-finals when Ukrainian media revealed that he had performed in Russian-occupied Crimea in 2014, questioning whether he should be able to take part because of it. Croatia’s ex-Prime Minister, Tihomir Oreskovic, went to the eastern city of Vukovar on Friday to support his former Economic Minister, Tomislav Panenic, in candidacy for Vukovar-Syrmia county prefect. 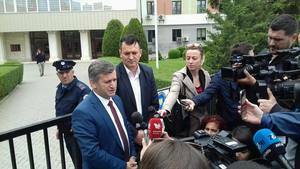 Oreskovic, who also stated that he would not return to politics, said he is supporting Panenic, who he said was a good minister and proved himself as a good businessman as well. The airport in the Croatian coastal city of Split had 123,320 passengers in April – a 63 per cent rise compared to the same month in 2016. The airport in an another coastal city, Dubrovnik, had 143,912 passengers in April, which is 52 per cent more than in the same period in 2016, while Zagreb had 240,168 passengers, or 20 per cent more than a year ago.